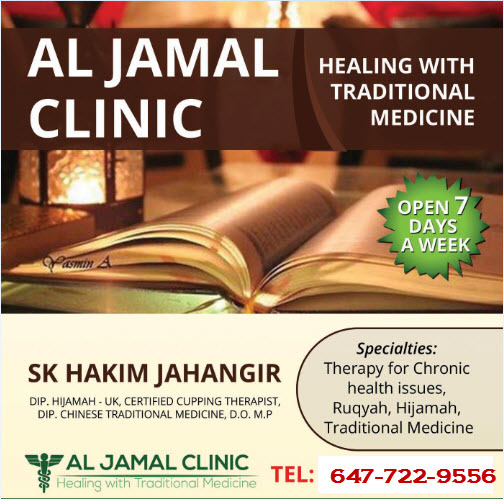 Welcome to AL JAMAL Clinic – Your traditional medicine center. 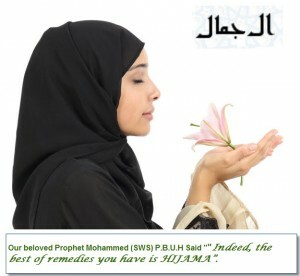 Offering therapies with specialization in spiritual healing with modalities Ruqyah , Hijamah, Cupping, Tibb-e-Nabvi medicine. Experienced certified male and female therapists who has passion for helping people to heal and get better. We are located centrally in Mississauga (Dixie and Eglinton), easily accessible to clients within Greater Toronto Area. CALL / WALK INS for same day appointments. NOTE: For all urgent, critical, serious conditions please call 911 and go to emergency. For health issues contact your family doctor. For chronic health issues first consult with your family doctor. Information provided on this website if for information purpose only, for any health issues consult with your family doctor. We are here to provide the alternative therapies to support healing chronic health issues to best of our knowledge experience . Copyrights 2015 AL JAMAL CLINIC . All rights reserved.